This entry was posted on March 12, 2012 at 8:12 pm and is filed under year of poetry. You can follow any responses to this entry through the RSS 2.0 feed. You can leave a response, or trackback from your own site. Thank you for the comment, and the reblog, I appreciate it. So true! The pic kind of makes me sad. 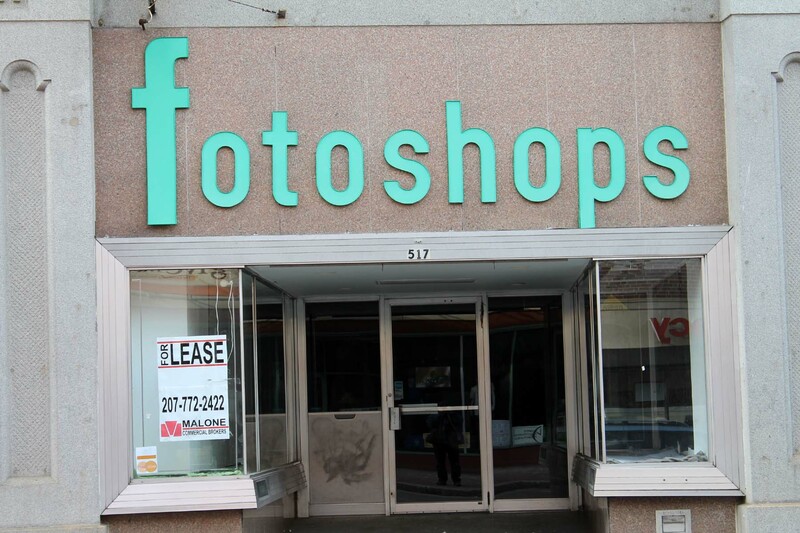 The pretty turquoise of the sign seems to symbolize the hope of a thriving business and yet, there it is closed down because, well, as you wrote, technology made it obsolete. I know, and I knew the owners. Then again, I know the owners of most of the photo businesses around here. The remainder are struggling to keep their heads above water. Thanks for letting me camp out in your blog this morning. I had a great time and hope I left my campsite clean enough for your next visitor. You are welcome back any time. Thank you for the visit.